It’s been a long time since we’ve seen a good music video. I mean a video where you’re not only absorbed by the music but by the message of the video. RÁJ has collaborated with Pigeons and Planes to present his masterpiece. Following this understated review you’ll be able to mesmerize yourself but, before then, let’s touch on what it is we’re hearing and seeing. 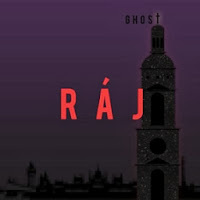 “Ghost” starts off with a distorted toddler babbling about the love for his mother and is incorporated into RÁJ’s mystic and soft vocals. After what you think is going to be a hip-hop-esque track you’re greeted with a simple blues guitar riff. RÁJ’s voice is clear and simplistic; thus, allowing him to deliver his story of a woman fighting with the insecurities of giving into failed relationships or always choosing the wrong man - PREACH! The entire video for “Ghost” is a dark and gloomy time frame (shot in Budapest), which follows the damsel in constant distress. The actress’ performance surpasses what could be expected for the video of a one named man. While RÁJ apparently prefers to remain solely known by his music, we’ll have to patiently wait to find out more about what could be expected. If this is just the first taste I can’t wait until we get a mouth full of who and what RÁJ is. Stay tuned for the next big thing. As promised, here is RÁJ’s “Ghost.” Keep an eye out for the “light at the end of the tunnel” in the video you’ll catch a quick glimpse of RÁJ. To follow RÁJ’s soundcloud click here. Clutches are made in oblong and round shapes. louis vuitton replica sale You can clutch them in your hand or hold under your armpit. Some clutches have separate sections for cell phones, cards and cash. louis vuitton replica sale Shoulder bags, as the name implies, are worn over the shoulder muscles. They act as utility bags to offer easy accessibility to items like phones, pills, e-readers and such. louis vuitton replica They also come with adjustable connectors. You can purchase purses online from various e-commerce websites. Shopping online is easy, safe and hassle-free. fake chanel You can choose ladies purses from brands like Butterflies, Lavie, Baggit, Fastrack, Peperone, Hidesign, Caprese, Kanvas Katha, Carlton London, tenth Planet and so on. fake chanel Shopping online is easy, safe and convenient. Generally these do not have a hold.